A thought-provoking if fairly depressing essay from Steve Almond appeared in the NY Times Magazine last week, “The Apocalypse Market Is Booming.” As anyone with a television will tell you, in the years since we last checked in on this trend in any substantial way, the amount of eschatalogical fantasies being peddled by Hollywood has only ballooned. 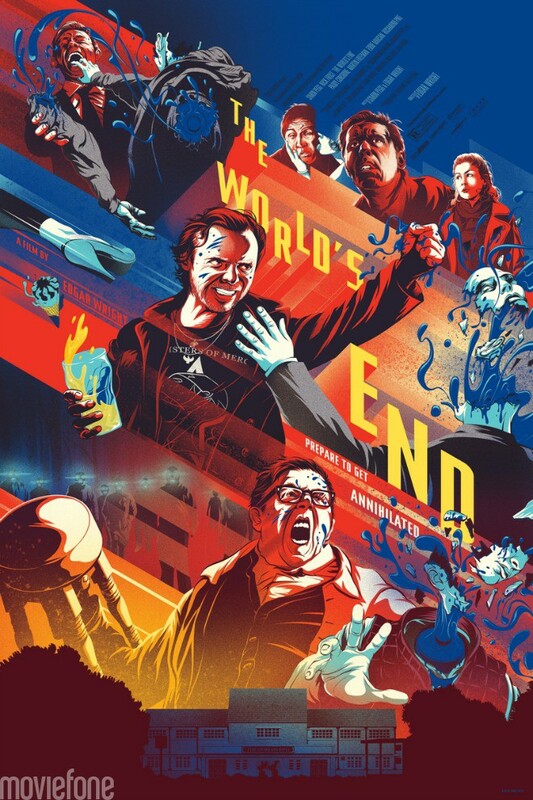 In fact, this past summer it almost seemed as if there were more apocalypse-themed movies at the multiplex than non-apocalypse-themed ones (World War Z, Oblivion, After Earth, This Is The End, The World’s End, etc). But Almond goes beyond the usual analyses, theorizing that the genre has moved beyond the abreactive projections of an anxiety-ridden society into a phase of what DH Lawrence called “death product.” In Almond’s view, these films are no longer feigning much interest in cautionary moralizing but have instead devolved into cynical exercises in shoot-em-up irreality. Or to be a bit more charitable, as our narrative imagination has grown, our moral imagination has all but disappeared. The almost-spoken observation here is that the glut of apocalyptic material is indicative of a deep-seeded despair at the heart of secularism, that when you take away the essential religious/prophetic component of apocalyptic fiction, all you have left is the fetishization of death in which hope can take only the most asinine of forms. Or become an endless parody of itself. Which is not the, er, end of the world–Steve Gutenberg may be noticeably absent from the proceedings, but even the worst of this stuff is still a whole lot more fun than The Day After. I’m not sure if I totally buy it, especially as most of these movies seem unavoidably religious to me, at least in so far as they reveal a highly inconvenient collective sense of impending judgment and appeal to a universally fervent desire for mercy and deliverance. Still, Almond has a point, and his final line may even be a bit… prophetic. The problem is not that we lack the ability to come up with compelling Clarke-like higher roads toward end-times enlightenment; it’s that those fantasies don’t resonate in the same way as the more self-destructive and/or messianic ones. They are simply too far-fetched; they confront us too directly with unpleasant realities about ourselves (by highlighting their inverse). They don’t sell tickets in other words. What does sell tickets, however, are stories–the same ones over and over again–that stem the 3AM hollowness of the inflated anthropology that goes along with most non-belief these days. And if there’s any truth to that diagnosis, then the increasing number of such palliatives shouldn’t come as a surprise. The further we get away from honest belief in anything larger (and better) than ourselves, the more nagging that feeling of emptiness grows, and the louder we have to turn the volume on our fantasies. No sooner have the credits rolled on one than we’re queuing up the next. “Avoiding the void” becomes more frantic (and lucrative!) the more convinced we become of its existence. Or maybe it’s just that zombies and earthquakes and makeshift weaponry are really cool. 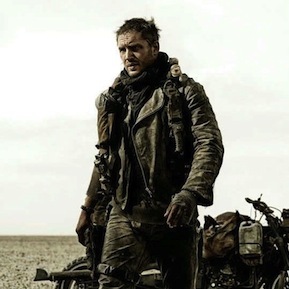 Whatever the case, Mad Max: Fury Road just entered post-production and the shots from the set are saliva-inducing! As a form of disposable entertainment, the apocalypse market is booming. The question is why. The obvious answer is that these narratives tap into anxieties, conscious and otherwise, about the damage we’re doing to our species and to the planet. They allow us to safely fantasize about what might be required of us to survive. Of course, people have been running around screaming about the end of the world for as long as we’ve been around to take notes. But in the past, the purpose of these stories was essentially prophetic. They were intended to bring man into accord with the will of God, or at least his own conscience. The newest wave of apocalyptic visions, whether they’re intended to make us laugh or shriek, are nearly all driven by acts of sadistic violence. Rather than inspiring audiences to reckon with the sources of our potential planetary ruin, they proceed from the notion that the apocalypse will usher in an era of sanctified Darwinism: survival of the most weaponized. Popular culture has moved beyond the prophetic phase represented by science fiction writers like Clarke or Ray Bradbury. We are deep into what D. H. Lawrence might have called the death-product era. For most of us, though, our obsession with the end times doesn’t arise from religious faith anymore. It is a secular impulse that marks a chilling regression. Imagine, if you will, that a race of superior beings discovers Earth 10,000 years from now, or even 10 centuries, a world no longer inhabited by humans. In surveying the remains of our civilization, what would they make of a species so intellectually advanced as to understand the precise threats posed to its survival and yet so immature as to ignore these threats? And what of the vast troves they would find containing elaborate and childish simulations of our destruction? It is entirely possible that they would look upon these artifacts not as harmless entertainments but dark prophecy. I think a lot of this has to do with our inability to transcend our competing belief systems. And our inability to win political and social victories over those with competing belief systems. In the US, Red and Blue America have pretty divergent views over what morality is. That’s what lies at the heart of the government shut down and the gridlock we see. And in the apocalyptic sense, that’s why we seem so unable to achieve real collective action on the environment. Ironically, the evangelical right and secular left have both been forced into a despairing position with regards to the environment. The right sees a Noah-style disaster as inevitable because of God’s judgment and punishment for our sins(A fate, of course, which they will not share because they will be supposedly raptured) Meanwhile the left is more and more despairing that anything can be done to save the environment at all. That’s one reason I’ve always been a sucker for decent Hollywood action movies (oxymoron? ), even before the recent apocalypse craze. Because at the very least they tend to allow the viewer to engage real questions that many of us barely ever have to engage in this modern American life: What if life were not so safe? What if life actually required something like…courage? What if you were to experience your momentary decisions actually having serious, lasting consequences for yourself and others right now? Etc, etc. And I think apocalyptic films can do the same. Of course, the other side to that coin is what Almond points out: The atrocious violence of many of these films tends to give the viewer a means of escaping these very questions. Meaningless violence is unfortunately one of the best possible ways to create a film that is simultaneously ‘entertaining’ for the viewer while also freeing him or her from any uncomfortable existential tension. It’s how they help us ‘avoid the void’. Because there is perhaps nothing less real–nothing less like actual life–than meaningless violence.